... bearing a large box with a US stamp. I opened it between appointments, and then had to put it away until the end of the day. This was my birthday present from the family (relax, it was last week). 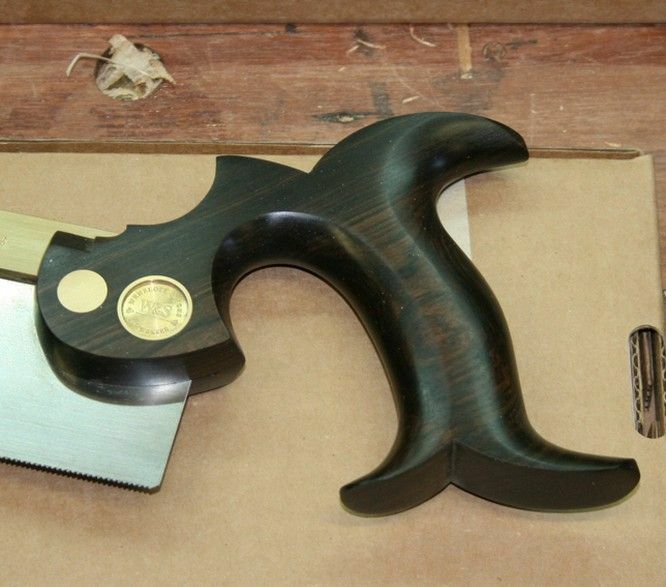 Harvey Peace tenon and dovetail saws in African Blackwood. This is my favourite design. And the brass/wood combination is just stunning. I know the pictures do not do justice to the handwork here. They really don't come better than this! 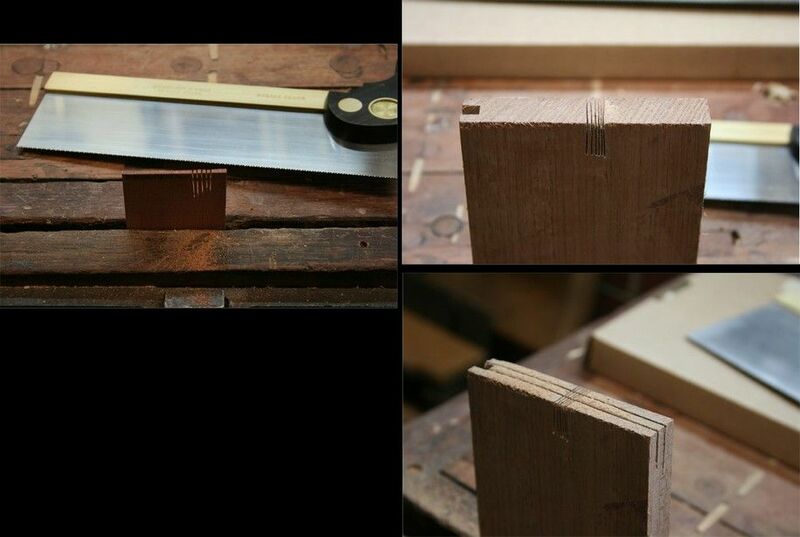 The tenon saw is 16" and 10 ppi. I wanted a longer saw than my 14" Nurse. The test cut above was done quickly but I know this is going to be a love affair. Great family, Derek! 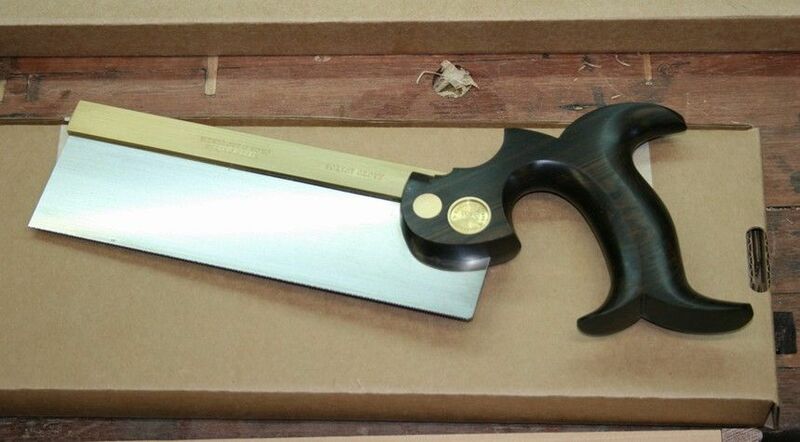 Congrats on the beautiful saws. Belated Happy Birthday, Derek, and congratulations on the saws. 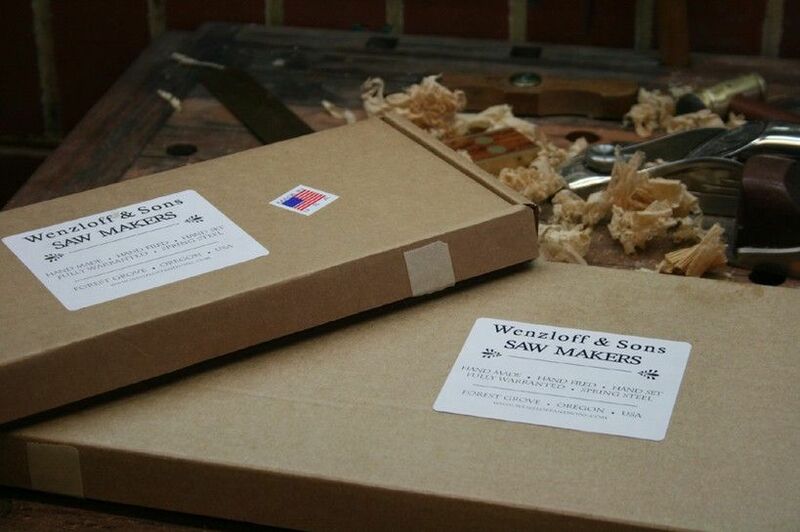 I'm sure the saw makers are pleased to be sending their wares to someone who can really appreciate them! Very nice saws, Derek, your'e a lucky man. 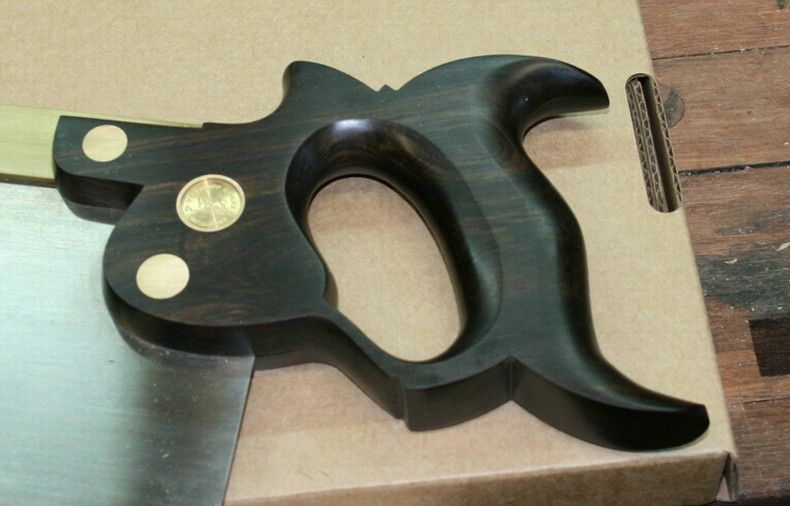 Those are really beautiful saws to behold, I'll bet even better to use.